The Giacomini commitment to producing superior quality, farmstead dairy products began over 80 years ago in the mountains of Italy. Three generations later, Bob Giacomini and three of his daughters, Diana, Lynn, and Jill, continue the family tradition on their farm in Marin County, California. 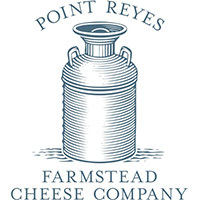 Point Reyes Farmstead Cheese Company officially launched on August 1, 2000, with the first vat of Point Reyes Original Blue. The secret to all the cheeses made on the farm lies in the unique combination of three key ingredients: Grade A milk from a closed herd of Holstein cows that graze on the pastures overlooking Tomales Bay, the coastal fog, and the salty Pacific breezes. The all-natural, gluten-free, and award-winning product line consists of Original Blue, Toma, Bay Blue, and Traditional Gouda. Point Reyes Farmstead Cheese Company is committed to sustainable farming practices, humane animal care, and respectful land stewardship. The company's mission is to make and deliver only the finest quality cheese possible. Kuba completed his Engineering degree with a focus on food technology in Poland. After graduating, Kuba accepted a position with a work-abroad program in the United States, which placed him at Traders Point Creamery in Indiana. It was there that Kuba began his work in dairy production, making fresh and aged cheeses, yogurt, and ice cream. Kuba spent a year as Quality Assurance Manager for Davisco in Minnesota, where he was responsible for overseeing the production and quality control for its food ingredient branch. In 2009, Kuba came to Point Reyes Farmstead Cheese Company as Head Cheesemaker and Plant Manager. Kuba assumed production responsibilities for the company's flagship cheese, Original Blue. Under his direction, Point Reyes expanded its product line with Toma in 2010, and Bay Blue in 2012. The entire line has won numerous awards in recent years, including American Cheese Society, Sofi, and Good Food Awards. Kuba lives in Point Reyes with his wife Jennifer and son Enzo. In his spare time, Kuba enjoys abalone diving, spear fishing, road biking and home wine-making. In Italian, Toma means "wheel of cheese made by the farmer himself." It's the perfect way to describe this versatile cheese, which is delicious anytime on any table. It is an all-natural, pasteurized cheese made from rBST-free cows' milk with microbial (vegetarian) rennet and aged a minimum of 90 days. Certified gluten-free. Toma is a semi-hard cheese, creamy in texture with a waxed rind and has a creamy, buttery flavor with a grassy tang finish. Inspired by the sheer natural beauty of the coastal climate surrounding Point Reyes, Bay Blue is a rustic-style blue cheese reminiscent of Stilton. It is known for its mellow flavor and sweet, salted caramel finish. Made from pasteurized, rBST-free cows' milk with traditional rennet, it is aged on the farm for 90 days. Bay Blue has a fudge-like texture with a beautiful natural rind and a mild blue mold pungency with a sweet, salted caramel finish. Original Blue by Point Reyes is the cheese that started it all. Produced on their family farm since 2000, California's classic style blue cheese is rindless, all-natural and gluten-free. The addictive flavor is bold with hints of sweet milk and a peppery finish. It is made from raw (non-pasteurized), rBST-free cows' milk with microbial (vegetarian) rennet and aged 3.5 months. It is certified gluten-free. Original Blue is milky white in color with blue-green veins throughout. It has an ultra-creamy texture with medium-strong blue mold flavor.